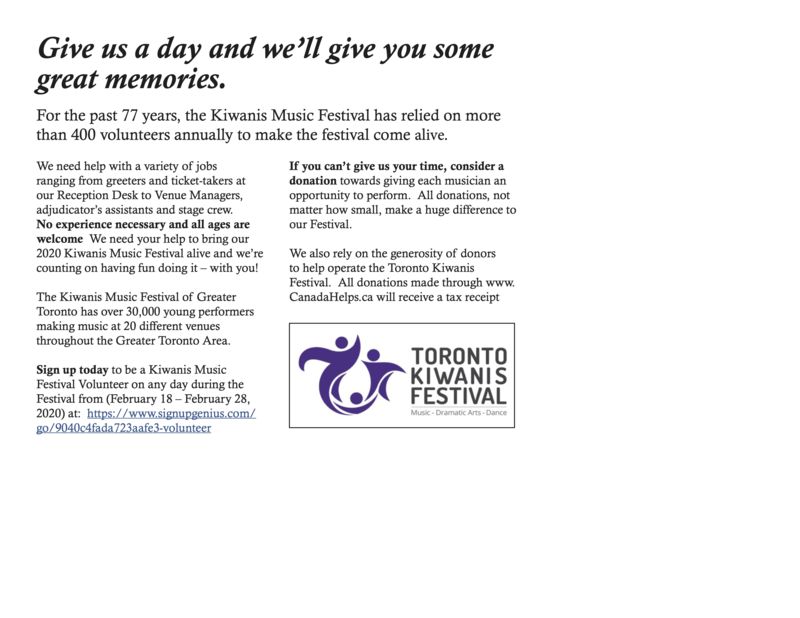 The Toronto Kiwanis Festival is always looking for volunteers! We need approximately 300 – 400 volunteers annually. If you would like to volunteer please fill out this form to let us know about your availability. The Kiwanis Music Festival supports the development of the performing arts in Canada through the provision of scholarships and performance opportunities for talented young people. The annual competition, held in locations throughout the GTA, calls upon a large number of dedicated volunteers, both Kiwanians and members of the public, to achieve its mission. 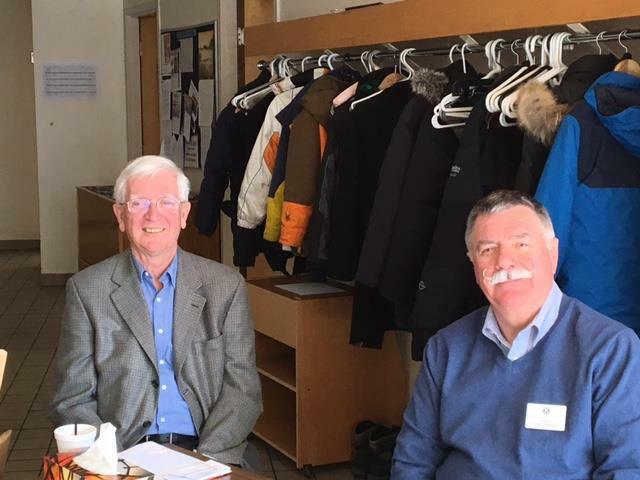 “Keynotes” are the group of volunteers who assist the adjudicators: collecting music from the participants, preparing the award certificates, recording results in the master programme, and phoning in end-of-session results to the Festival Office. If you enjoy music and young people, and would like to help ensure the success of the 2019 Festival, please join us for an exciting musical experience! A training session for Keynote volunteers will be held in February 2019 in a central location. Call Bev at 416-621-8379 for details.